Led Zeppelin guitarist Jimmy Page was a featured guest on CBS This Morning on October 8. 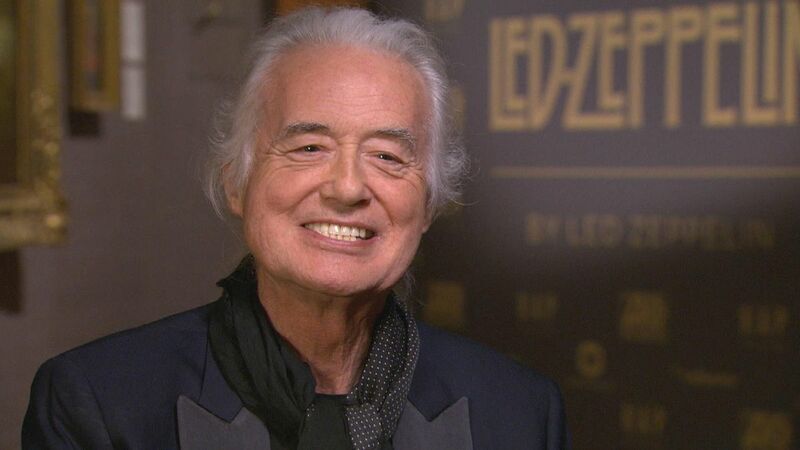 The rocker sat down with CBS News foreign correspondent Charlie D'Agata recently at the National Portrait Gallery in London, where the iconic hard rock band held an event to promote their official photo book “Led Zeppelin By Led Zeppelin”, which arrives on October 9. "Was there a moment when the four of you got together the first time, the first couple of times and thought, 'Wow!'? ", asked D’Agata. "Well, the first rehearsal that we did was here in London, in a rehearsal room where we had maybe an hour or two hours,” explained Page, “and we just got together, and we counted, '1, 2, 3, 4 ...' and were all playing, and we just kept extending the song and jamming on it. "And by the end of it, I absolutely guarantee it was a life-changing experience for everyone from that point. Everyone knew that they'd never played with musical equals." As Page put together the Led Zeppelin lineup, he had a vision of how he wanted to present the group to the world. "I knew that the way to do it was to have four musicians that were just really locked in tight and everyone could be heard on the record, so it wasn't just about one person but the overall," said the guitarist and producer. Part of the band’s 50th anniversary celebrations, “Led Zeppelin By Led Zeppelin” features an extensive archive of previously-unseen photos handpicked by the surviving members of the group.